When will be Big & Little next episode air date? Is Big & Little renewed or cancelled? Where to countdown Big & Little air dates? Is Big & Little worth watching? 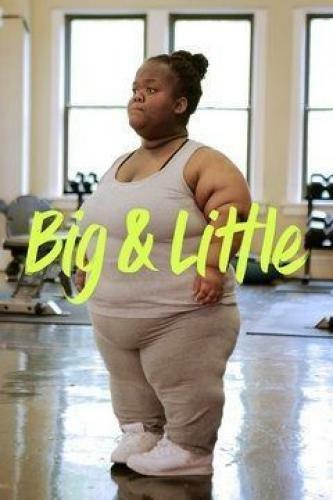 In Big & Little, little people suffering from morbid obesity embark on a weight loss journey led by fitness guru and fellow little person, Allison Warrell. But the challenges of being little in an average-sized world make the task nearly impossible. Little people suffering from morbid obesity embark on a weight loss journey led by fitness guru and fellow little person Allison Warrell. Having made big weight losses since last seeing Allison, Ayanna looks to build momentum; Chuck has made solid progress, but gets derailed after injuring his knee during a workout. Big & Little next episode air date provides TVMaze for you. EpisoDate.com is your TV show guide to Countdown Big & Little Episode Air Dates and to stay in touch with Big & Little next episode Air Date and your others favorite TV Shows. Add the shows you like to a "Watchlist" and let the site take it from there.